Wow! I can't believe it's November already. This year has flown by so incredibly quickly. Thanksgiving is one of my favorite holidays (the materialism of Christmas overwhelms me) and I love the emphasis on giving thanks and having gratitude. 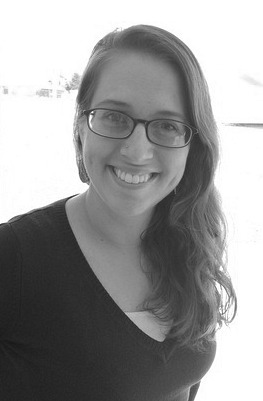 One of the things I'm thankful for is this blog! As cheesy as it sounds, being able to share and write about God's power in my life has been so wonderful. The responses I got from you guys about my post on self-harm and learning to abandon perfection were so positive, and I'm glad they were able to open dialogue about these issues in the church! So to thank you you all for your support and kind words, I'm doing my first giveaway! I tried to think of something that would be helpful for you in your walk with God, and immediately I knew what I wanted to give away! 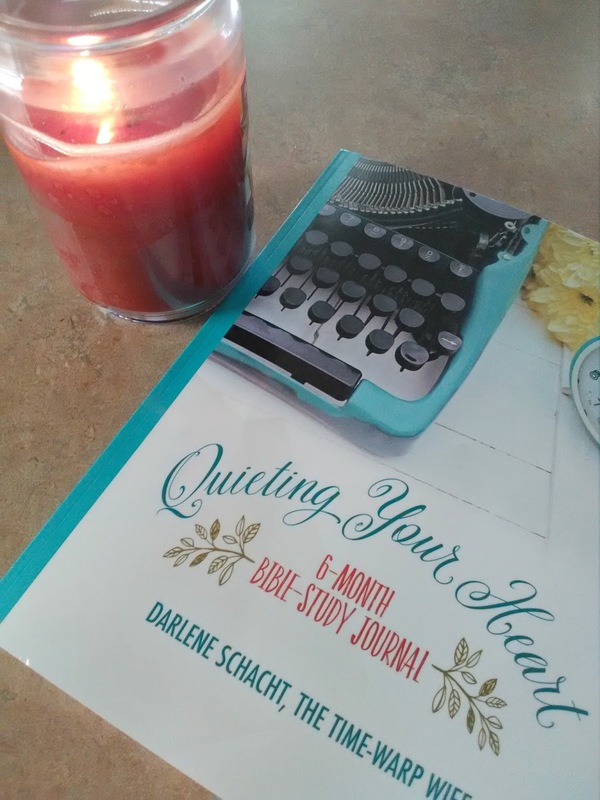 Several months ago, I ordered a journal called Quieting Your Heart: 6-Month Bible-Study Journal from Darlene Schacht (the Time Warp Wife). It is such a neat journal! It has lots of cute birds inside and would be fun if you like to color! 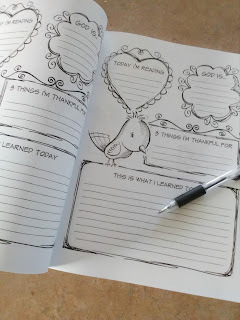 This is such a great tool to help you stay focused and grounded as we go into the craziness of the holidays! Plus, the "3 Things I'm Thankful For" section on each page is perfect for November. And if I reach 75 likes on Facebook, I'll add a $10 Starbucks e-giftcard along with the journal! I love being able to go to a quiet coffee shop with my Bible and just focus on Him. It can be a great way to "reset" over the holidays. If you just want to order it now, you can click here ! So here's the entry form, and encourage your friends to like my Facebook page, because let's be honest. Coffee makes everything better! You have to click on this link to get to the Rafflecopter entry form!! I am most thankful for my faith! Thankful for Jesus, that everything is coming to light in this country, that God is changing the world, thankful for my husband, children, family and love. I am so thankful for my family. My children and my husband are my life and mean everything to me. I am most thankful for my awesome husband! He works so hard to provide for me and our kids, and he is the best husband and father ever! I am so thankful for my life group and friends that are honest with me in life. I'm most thankful for Gods love and mercy. I am thankful for all that God has done for me! I am blessed! I am very thankful for the fact that even though I have come from broken circumstances, God has restored me and brought me into ministry for His Glory! God has been faithful even though I have not always been. God's wholeness has been revealed from my brokenness. My family and my home. I am thankful for God's grace, for without it I would have nothing at all. I am thankful for God most of all. I am thankful for God's grace and love for me. I am most thankful for my beautiful family! God has truly blessed me. I am most thankful for the people God has placed in my life. I am thankful for the many blessings God has given me even though I don't deserve any of them. I am thankful that God is always with me and never leaves me and has shown love to me in ways unimaginable. I'm so thankful for my Saviour and salvation. I am most thankful for my family. We've had some health scares recently and I am so thankful for God allowing me to keep them here with me. I am thankful for God's grace and for my family. I am thankful for the close relationship my Lord desires to have with me and as a result, I'm thankful for the close relationships I have with those around me. I am thankful for God and every blessing He has given, my family and the love we have for one another, and this beautiful fall weather. 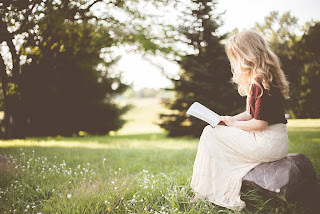 I'm am thankful for all the ladies who publish blogs to help bless us as moms, homeschoolers, wives, bible readers, etc!! I am most thankful for my relationship with my Savior! Thankful for the love of family and my merciful, patient Savior...so undeserved. I'm thankful for the love of my family! I am most thankful for my husband and everything he does for our family. I'm thankful for my faith, family, friends, and all of the things God has blessed me with. I am most thankful for a safe place to live, my family, and this beautiful world we are blessed with to explore. I am most thankful for my Savior, The Lord Jesus Christ, and for my husband, Paul! I am thankful for God's amazing grace! I am so thankful for Jesus' dying on the cross for my sins. Without Him I would have no chance for redemption. I am also so thankful for the LOVE of God that He bestows upon us all the time and loves us unconditionally! I am most thankful that God always always provides!! !